Man is a product of nature. 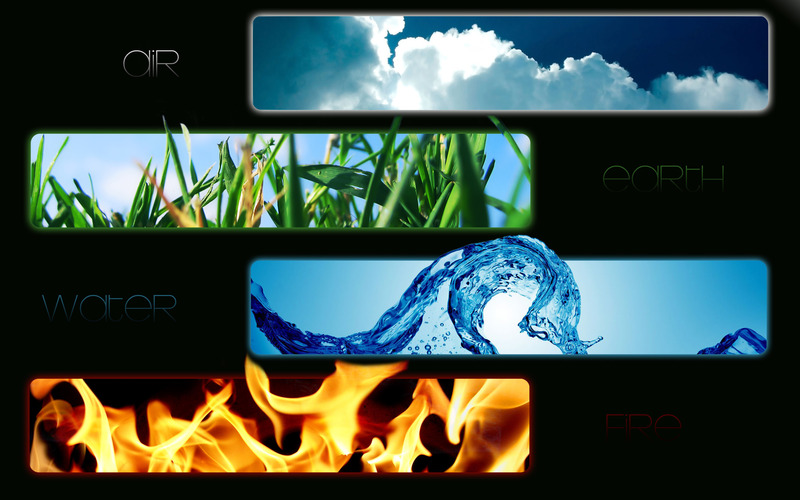 Panchaboothas, the five main ingredients of nature, namely the Air, Water, Fire, Earth and Sky are the powers that rule over our universe. Human body too therefore is constituted of the same elements which, acting in harmony, give us good health; just as different construction materials used in precise proportions render a building strong. The secret of good health lies in being one with nature. Fresh air, clean water, wholesome food and adequate physical activity with necessary rest are its cornerstones. Man cannot survive without air to breathe for more than a few minutes at best. The atmospheric air has a high content of oxygen which sustains all terrestrial life by being absorbed during respiration and forms most of the mass of the living beings. The oxygen so consumed is continuously replenished by living organisms through the process of photosynthesis wherein they use solar energy to produce elemental oxygen from water, which again is a compound with oxygen as one of its two elements. This replenishment process defaults when there is a lack of greenery from deforestation or drought. This, coupled with increase of smog that corrupts the atmosphere with toxic pollutants, creates a very unhealthy environment that renders all living things prone to diseases. The number of airborne epidemics is also on the rise. Therefore living in a pollution free environment where we can breathe fresh clean air is a primary safeguard for good health. Aerobic and breathing exercises naturally help strengthen a person’s constitution. Practising Pranayama, the ancient Indian yogic discipline, in particular is a highly effective means to good health. Water makes up more than 60% of an adult human body and is the most essential ingredient for survival after oxygen. While extreme deprivation of water can lead to dehydration and death, insufficient consumption of it can cause umpteen health problems; since it performs various functions like regulating the body temperature, cleansing the body of wastage through urination, converting the food into components needed for survival and transporting them through bloodstream, etc. Water is a compound of one part oxygen and two parts hydrogen and in its natural form of spring water contains various minerals needed by the human body. It is essential that we drink such mineral water and not de-mineralized or contaminated variety to maintain good health. The high prevalence of waterborne diseases makes it far too essential for us to be extremely vigilant of the quality of water we drink. Fire, a natural phenomenon man has learned to control, plays a significant role in human health. Nature has designed the human system to eat cooked food. It is essential that, except for some greens which are ideally eaten raw, we cook all our food over fire properly and consume when they are freshly cooked. Stale food is prone to infection and should be avoided at all costs. Fire, besides being the principal agent of cooking, helps preserve human health by the warmth it offers to protect us from cold weather and the light that it emits to keep darkness away at night. Fire is also the most common sterilizing agent known to man and a phenomenon like no other that aids human comfort. The brightness of the light from fire invariably lifts a person’s spirits, aiding in mental health. The gravitational pull of the earth has a constant bearing on all living things. Animals with better sensory perceptions than humans can be often seen to detect subterranean disturbances like earth quakes well in advance than us, demonstrating this effect. The human body is programmed to be active during the day when food is to be consumed and digested within to form glucose, and to be resting at night when the glucose is absorbed into the bloodstream to generate energy, so that the person is charged with energy for another day’s activity; the reason why one feels refreshed in the morning after a good night’s sleep. The gravitational force applies itself on the human body at rest to expedite this process of re-energizing it. Our ancestors who slept on the floor or wooden cots benefitted from this phenomenon far better than we do sleeping on heavy mattresses. Orthopedic patients are known to find relief from pain by sleeping on hard, wooden cots for the same reason. Prostrating as a form of worship, practised by almost all religions, no doubt helps the body draw energy form earth. Regular sleep at night with the body well-supported horizontally in straight posture thus affects your health in more ways than one. Earth is also a massive reservoir of various minerals that human body needs for its sustenance and growth. In Nature’s way of things, water that springs from earth and plants that grow on it act as conduits to supply these minerals to humans who consume these. Earth and all the living beings that inhabit it are under the influence of solar power generated by the sun during day. It evaporates the waters of the earth which condense to form clouds that give us rains so as to balance the climate. It is the original source of all energy we see in Nature. All life therefore is controlled by the solar system. Microbes to man, every form of life, depend on the solar power it absorbs for healthy functioning and sustenance. Any scarcity of this solar energy in the body leads to ill-health and diseases. So it is imperative for human beings to soak up adequate amount of this energy to lead a healthy life. Consumption of natural wholesome foods that contain abundant reserves of solar energy and adequate exposure to sunlight are the guaranteed means of achieving this end. Addiction to junk food and scanty exposure to sunlight ruins a person’s health. While the solar power dominates during daytime, lunar force of the moon comes into play at night. The lunar influence on the body at rest during night complements the process of re-energizing it through absorption of glucose formed from food into blood. Thus the natural cycle of digestion of food during day and its easy absorption into blood as glucose during night is upset when a person forgoes sleep at night. A body so deprived of sleep will be deprived of adequate energy and render itself prone to ill-health. Hence sleeplessness is anathema to good health. The 9-planet solar system that constitutes our segment of the cosmos exerts an overriding influence on all forms of life and therefore unknown to us the planetary dispositions often affect human health. Each of the nine planets, the Sun, Mercury, Venus, Earth, Mars, Jupiter, Saturn, Uranus and Neptune, has relevance in specific areas of human physiology. Some of them exercise an anabolic effect causing build-up of energy and better health while others have a catabolic effect triggering loss of energy and poorer health. For instance common cold, sinusitis and related allergies as well as asthma are attributed to the bad influence of the Sun, whereas Mars incites blood-related problems and Saturn has a negative impact on the bone structure. Awareness of this planetary influence can help a physician prescribe remedies conducive to early recovery from an ailment. Especially an understanding of Rahu and Ketu under the Hindu tradition can be highly beneficial in healthcare. Astronomically these are the north and south lunar nodes that denote the points of intersection of the paths of the Sun and the Moon as they move on the celestial sphere. Eclipses, which impact human health negatively, occur when both the Sun and the Moon are at one of these points. Similarly knowledge of the Zodiac System is often relevant in finding proper remedy for certain ailments. Zodiac is the celestial coordinate system, consisting of twelve 30-degree divisions (called ‘Signs’) of the celestial longitude along the path of the Sun across the celestial sphere over the course of the year. Although the zodiac signs are popularly associated with astrology, they have a definite astronomical orientation and a bearing on human health. No medicine or treatment offers man the peace of mind and feeling of wellbeing that prayers and meditation can. Finding solace in the worship of God rewards a person with an innate sense of bliss. In particular offering prayers to Lord Sri Dhanvanthiri, the God of Health, will be of immense benefit to lead a disease-free, happy life. The Lord in his sitting posture bears four different items in his four hands symbolizing his powers. Sudarshan chakra or the spiked wheel on his right forefinger is the weapon that signifies his power of destruction while Shangu or the conch-shell in the left one signals victory. Of the other two hands he carries a leech in the palm of the right one and a pot carrying Amrut, the elixir of life in the palm of the left one. The leech symbolizes the act of sucking out the contaminated blood of the patient before Amrut is fed from the pot for recovery and good health. While the blessing of Lord Dhanvanthiri can be invoked by reciting Sri Dhanvanthiri Stotra at home before a portrait of the Lord, worshipping at a temple consecrated to him would be far more fruitful.